These reels make use of a corrosion-proof composite frame and side plates to house a rugged, work horse gear train. Aluminum spool starts fast but is kept in control by centrifugal brake system. 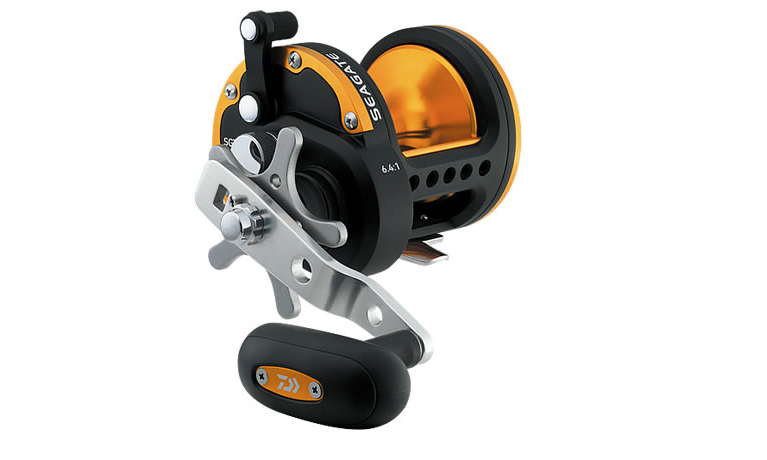 A great, all-around reel at a very reasonable price. Line per handle turn: 48"